After doing the one for BroadwayBeckons, I got a message from Somayea about making a Sim (I assume a self Sim for her now she has Sims 3, if I am wrong then oops!). So for the fun of it & the exercise (I will admit to needing practice with CAS), I'm going through the back pages of SF & with the data I can find will have a try at doing some other self Sims from here. With those going to college & finding time to come on here more limited, it will be nice for them to have their self Sims & "absent friends" in their games. The traits I could find she'd listed in a back post of SF for herself were Absent Minded, Clumsy, Good, Coward, Artistic. But after her post yesterday in "What are you thinking right now?" about people not turning up on time I thought Absent Minded didn't seem right. She also had three negative traits, which would have made her self Sim more annoying than fun to play with. Out went Coward, which is more like a "faint" trait, & a total death sentence if there is a fire (the Sim faints & ends up cremated). Her hair I think comes from Showtime, but everything else should be base game. I think the hair is from Ambitions. I used the traits he listed on here some time ago; Family-Oriented, Artistic, Childish, Over-Emotional, Friendly. That's a nice idea, Minty. Traits are: Heavy Sleeper, Good Sense of Humour, Bookworm, Excitable and Friendly. If the simpack works properly I should turn up with some skills already and in my backpack there should be a scooter, a laptop, some books and recipes, some bottles of wine and a rubber duck. I felt that these items best represented me. Here's Yo!WhoMovedMyCheese? in all his glory. Traits from those given by him in the past are Computer Whiz, Couch potato, Friendly, Hot headed & Shy. His lifetime wish is that monster crossbreeder one, you know, get to the top of the science career. Feel free to change it. Cassie , which I did during sanity breaks trying to do Bobert and Sammie. The last set of traits she put up for herself were Clumsy, Family-Orientated, Friendly, Neurotic, Perfectionist. I ditched Family Orientated for Bookworm as its more useful in the early game, & with her being a Potterhead it seemed right. These look great! I've tried a million times to make a self sim and can never get it right. 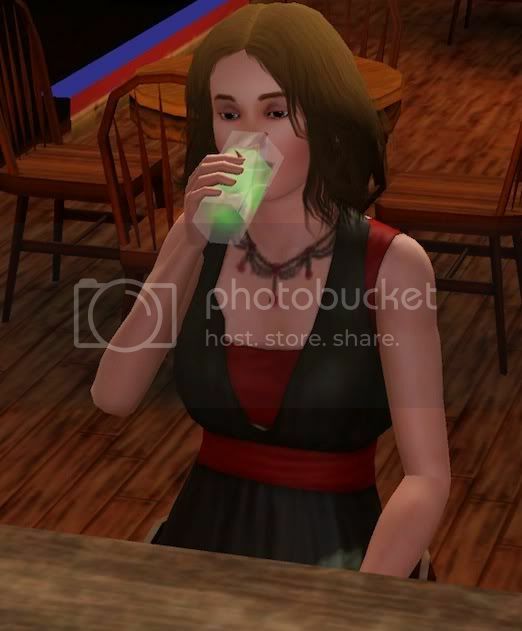 Hey, do Minty and Ollie have CC-free simselves that they would be willing to share? If so can I pop them in my game and we can all play gnubb or something! ?